Manufacturer & Exporter of Tent Fabrics & Durable Tent Fabrics. 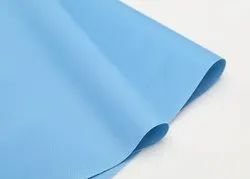 Our product range also comprises of LDPE Tarpaulins, LDPE Sheet and HDPE Tarpaulin Sheet. We fabricate a premium range of tents from fabrics that feature strength and durability. The tents we supply are capable of withstanding environmental factors like rain, sun, etc., effectively. We are supplying these tents as per the specifications and requirements of clients in various sizes from tarpaulin.